Matrix Gym offers a wide a wide range of classes to suit all skill levels and ages. Start with our beginners classes in Muay Thai or jump into one of our MMA, Brazilian Jiu Jitsu and Boxing programs and start your progression now. 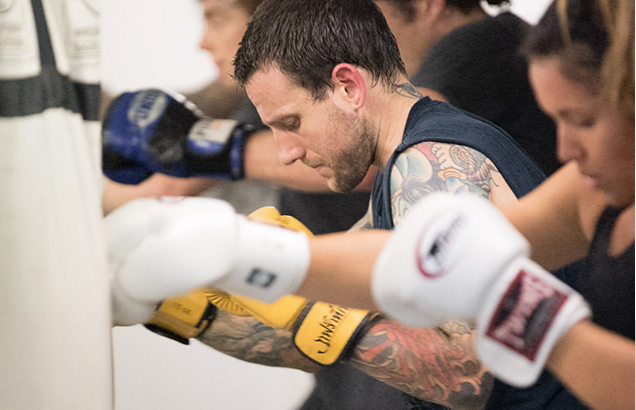 Matrix Gym also offers exclusive fighter training producing some of the best Muay Thai fighters in Australia. Muay Thai is an intense, exciting and empowering ring sport. It’s also Thailand’s martial art, developed over a 2,000 years ago. BJJ focuses on grappling and also ground fighting, learn chokehold and joint lock submissions as well as positional techniques. MMA is a combat sport and a self defence system that focuses on stand up striking, grappling and ground fighting. Boxing can be used as a great fitness workout and is excellent for toning and building lean muscle, strength and stamina.